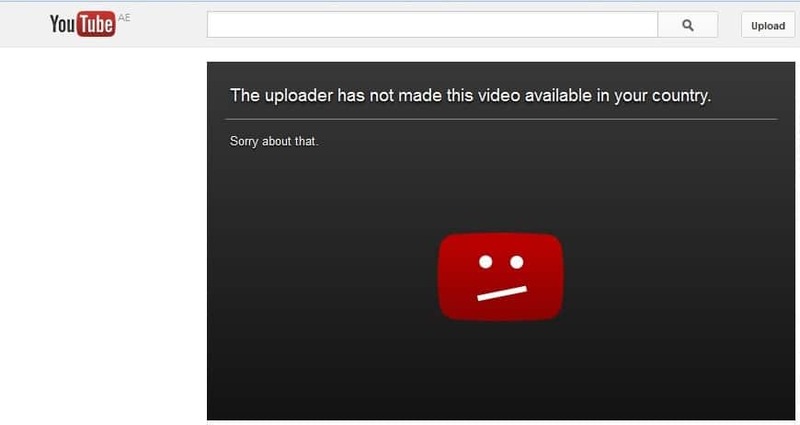 Even in this day and age, services like YouTube are still blocking access to users depending on their region. Now, it is not the website’s fault at all as it all mostly depends on the copyright laws of each country and the licenses that the website holds. However, since this is the Internet and all, there are several ways you can bypass these restrictions. The legality of all this is not very clear but you are sure not going to get in trouble for using the services I will detail below. 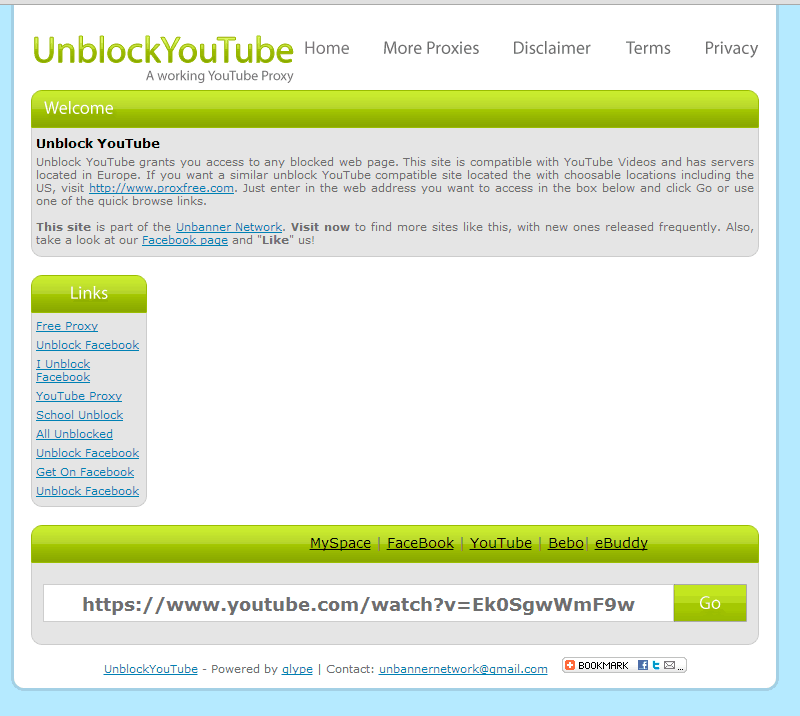 If you do not often run into region-restricted videos then you would do well with a website like Unblock YouTube. The way it works is extremely simple. You just take a YouTube link, paste it into the respective space in the website and click on Go. It will then redirect you to the actual YouTube page where you can freely watch your video. Do note that there are some restrictions. For example, if the video is aimed at an adult audience, you will not be able to watch it as it would require you to log in your account. Some settings might also break but usually things will be fine. 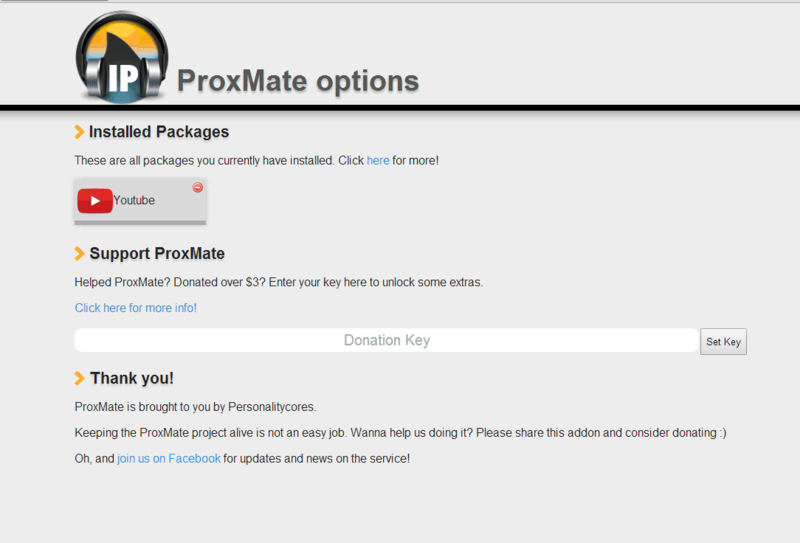 A browser extension for Chrome, Firefox and Opera Next, ProxMate is a very fast service that works in many services, including YouTube. It can unblock pretty much any video and you can turn it off at any point in case it slows down your surfing or streaming. It uses a minimal amount of resources and it can stay in the background of your browser so you can forget about region-locked videos forever. It is also completely free and is only supported by donations so no annoying ads either. Visit the link to see the full list of services supported and to download the extension if it looks alright to you. Pretty much the same thing but a lot more popular. Hola is also available in way more platforms so that is something to note. You can download a standalone app in your Windows computer, a browser extension for Chrome and Firefox or just use the Torch browser where the extension is integrated. There is also an Android app that goes beyond mere unblocking of websites as it promises to speed up your surfing and reduce network load. 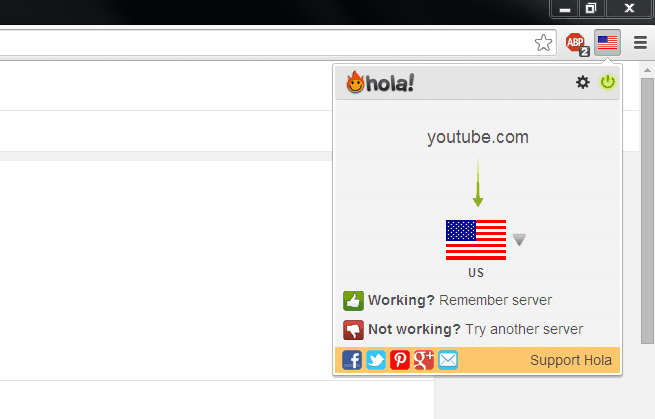 Hola is completely free as well and has no ads for the best browsing experience possible. You probably knew this was coming but the post would not be complete without it. The simplest way to bypass any restrictions on the Internet and protect your privacy is to use a VPN service. Most of these services are paid but you can find some fairly decent free ones if you are willing to look hard enough. Of course, using a VPN will change the way you surf the internet so you will have to do a bit of research before installing a service.